According to the pro-abortion Guttmacher Institute, the number of abortion clinics in the United States has declined by nearly 40%, after peaking in 1982. Recent years have seen abortion clinics continue to shut their doors after the passing of pro-life laws around the nation. As clinics continue to close, as abortion rates continue to drop, and as organizations such as Planned Parenthood continue to be exposed, times are looking tough for big business abortion. But Medical Students for Choice is fighting to continue big business abortion, with the help of private funding including grants from the Rockefeller Family Fund, a non-profit group that, according to their website, seeks to find the leverage points of key societal and political issues and which “seeks to improve the quality of life for working women and their families.” Sadly, it appears that the group views abortion as a way to help achieve this goal. According to Reuters, the Rockefeller Family Fund sent 137 students for abortion training at its Abortion Training Institute, more than twice as many as in 2010. The Kenneth J. Ryan Residency Training Program has also increased abortion training around the country. But unfortunately for Planned Parenthood, the effect of increased abortion training may not greatly increase their profit margin. According to Reuters, “… their impact is limited. Most of the doctors end up working near where they train, not in several Southern and Midwestern states” where pro-life laws have been recently enacted. … [S]ome of these students become so uncomfortable with the gruesome nature of abortion procedures they change their career plans. 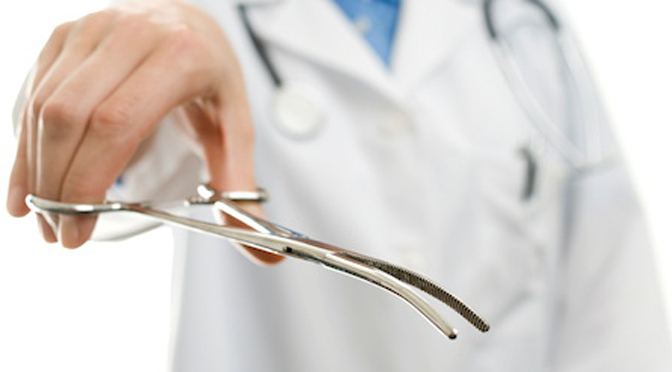 Others do become abortionists, but retain some moral qualms about what they are doing. This happens particularly when students are exposed to the D&E, or dilation and evacuation, abortion procedure…. The contrast between the valuable “wanted” babies and the disposable “unwanted” babies is vividly shown when doctors fight to save infants who are the same age as the infants they kill in another part of the hospital. The only difference between a baby doctors are struggling to save and a baby doctors are trying to kill is the opinion of the baby’s mother. If she believes her child’s life is valuable, it is. If she doesn’t, and wants her baby dead, the baby’s life is expendable and he can be legally killed. This strange situation leads to moral confusion. Abortionists have spoken about the irony of the situation elsewhere. While some abortion workers may have virtuous intentions, many are beginning to realize the scientific truth of pro-life arguments, and the profit driven motivation in the abortion industry. For such people, there are resources available to assist in the transition out of the abortion industry. And Then There Were None, a group, founded by Abby Johnson, a former Planned Parenthood director who left after witnessing an abortion on ultrasound, offers assistance to abortion workers who have had a change of heart.